Home LA Showbiz Why is everyone talking about Kim Kardashian’s sinks? 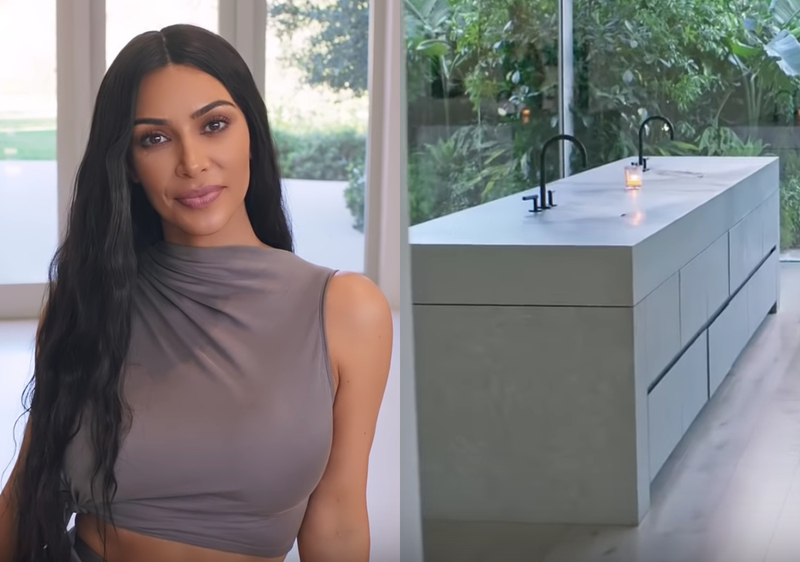 Why is everyone talking about Kim Kardashian’s sinks? There’s been a lot of chat about Kim Kardashian and Kanye West’s sinks – and here’s why. The couple allowed Vogue magazine into their stunning Hidden Hills home last week for their 73 Questions segment. During her interview, Kim showed the cameraman around her house, including her bathroom – which appeared to have two sinks without any basins. Eagle-eyed fans flocked to Twitter to question the unusual design, and many have been left completely baffled by the seemingly basin-less sinks. However upon closer inspection, it looks like the sinks are simply covered by a discrete lid, to keep with their home’s minimalist theme. In fact, during her interview with the magazine, the interviewer noted that Kim and Kanye have a “staff kitchen” and a “show kitchen”.